History-maker: Omar Al Marzooqi of the UAE. 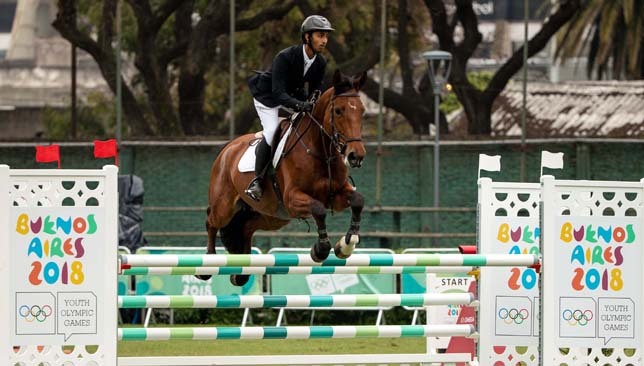 Abdelaziz El Marzouqi grew up dreaming of the Olympic Games and could not hide his emotions when his son Omar ended up fulfilling that dream by claiming silver in individual showjumping at the Youth Olympics in Buenos Aires this week. 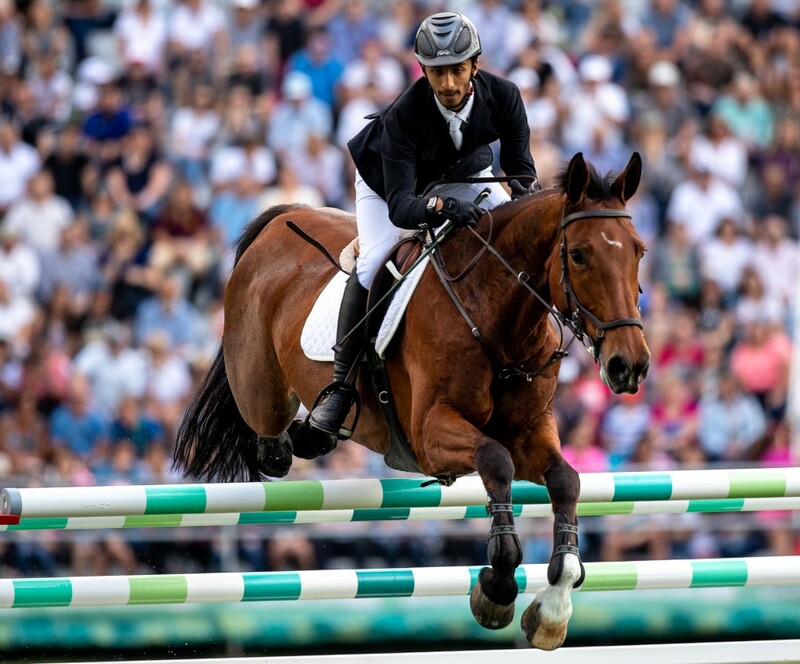 After two clear rounds, Omar, atop La Corina Lala, was one of five riders who entered a jump-off on Saturday to determine the medals and the young Emirati was just two seconds short of a gold medal, as he settled for second place behind Italy’s Giacomo Casadei. 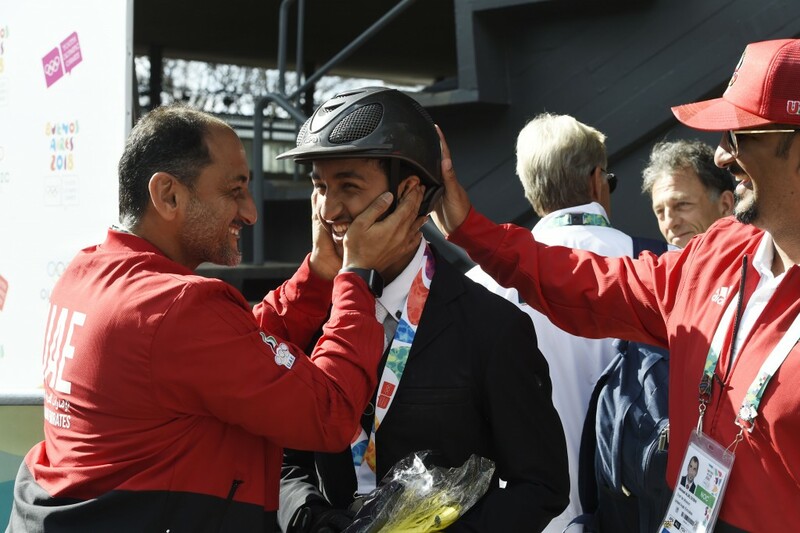 It was a historic moment as Omar became the UAE’s first-ever medallist at a Youth Olympic Games and his father, Abdelaziz, who is also his coach, is beaming with pride over the 15-year-old’s accomplishment. “I have a club in Abu Dhabi, and I always dreamt that one of my riders could raise the UAE flag at an Olympic Games,” Abdelaziz told Sport360 in a phone interview from Argentina. “I’ve been riding horses since I was 12 years old and I always wanted to see this. It’s my son who ended up doing it and it’s amazing. I couldn’t do it myself but he could. I prepared several riders to compete on the international stage and we scooped many medals with the UAE national team. But this was the toughest competition. It felt different, it was emotional for me because he is my son but I am also the coach so there was a big burden on my shoulders. 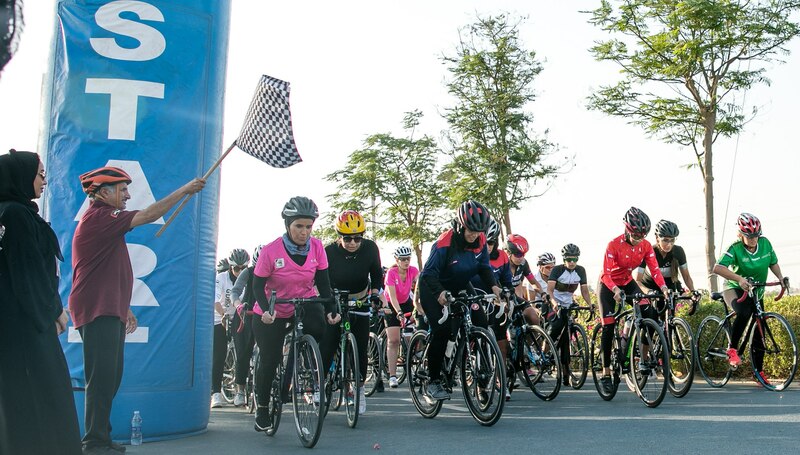 Omar is one of a small group of junior riders handpicked by Sheikha Fatima bint Hazza Al Nahyan to be part of a special training programme at Al Shira’aa in preparation for events like the Olympic Games. The younger rider was thrilled to make history for the UAE. “I am honoured to be the first Emirati to win a medal at the Youth Olympics,” Omar told Sport360. 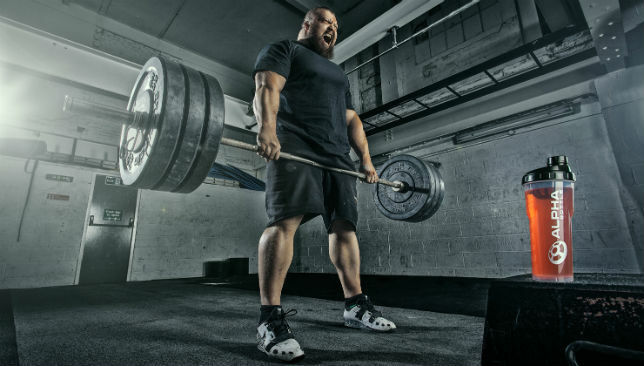 “I was quite optimistic about my chances in winning a medal. It wasn’t easy and it’s a great feeling to see the UAE flag flight high here in Buenos Aires. Abdelaziz also believed his son could make the podium, especially after Omar went clear in the first two rounds. “I always had faith in his abilities and I felt he could do it,” says Abdelaziz. “The horse did well and thanks to Omar’s efforts in training and his incredible focus, he managed to do it.